Advertising your services and price list is essential when promoting and providing your list of all services, products, and prices of your parlour or salon, so that customers know exactly what they’re getting. This list has put together some of the best of the best and most versatile designs for your business in order to give your customers all of the information that they need in order to bring in business. 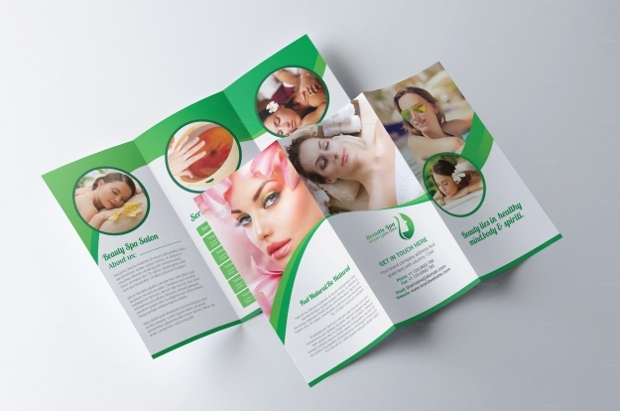 This beauty salon brochure is a trifold brochure, and uses an ivory background with a floral embellishment to create a serene and calm feel to the brochure. The writing is a dark grey in order to make the information stand out, but still fits in with the colour scheme of the brochure. There are also some spaces for images in order to advertise the work of the salon. 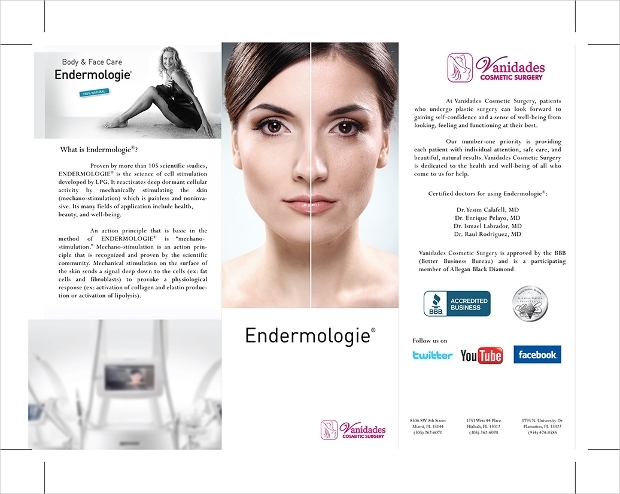 This cosmetic brochure is a multipage brochure with many spaces for featured products and services. 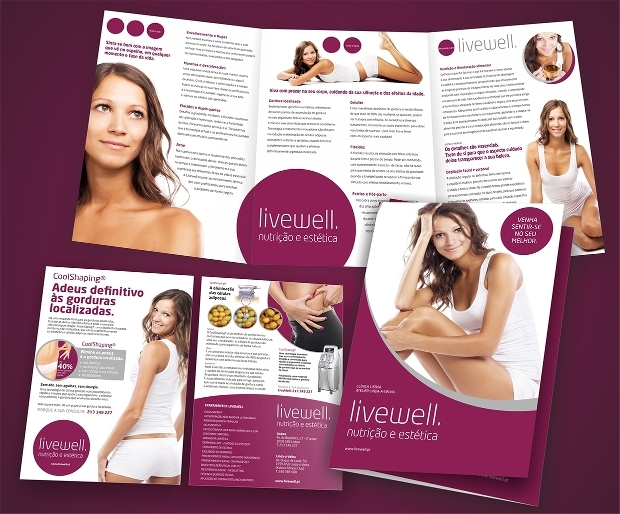 This brochure is ideal for a company that sells beauty products, or for a beauty parlour to advertise the work and services that they offer to their clients. 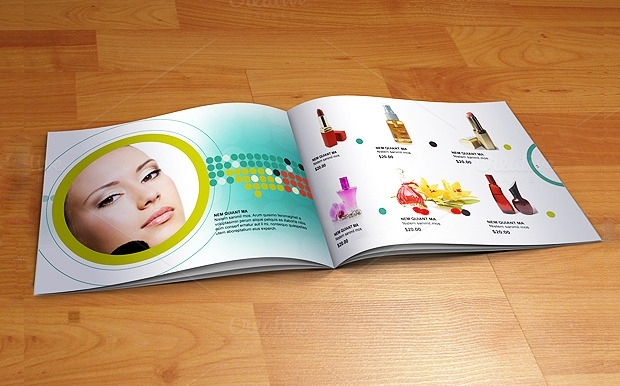 This multipage brochure features mainly pictures of services and advertisements and is ideal for use in the reception of a beauty parlour in order to advertise the services and products that the parlour offers. 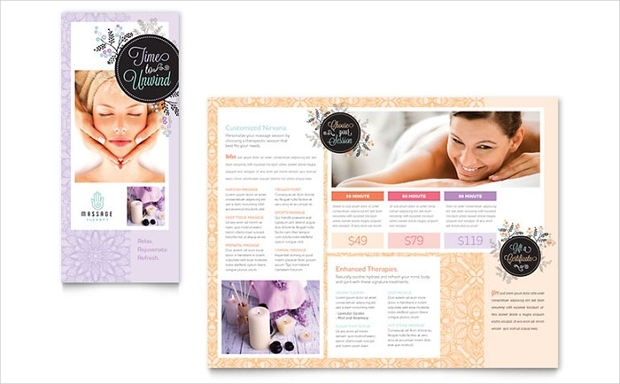 This massage brochure is a trifold design that uses a pastel, floral background and floral embellishments. 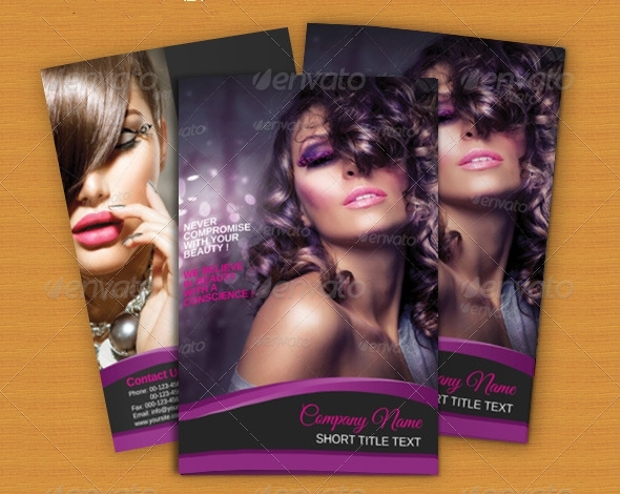 The design has plenty of space for images, and information such as services and pricing. 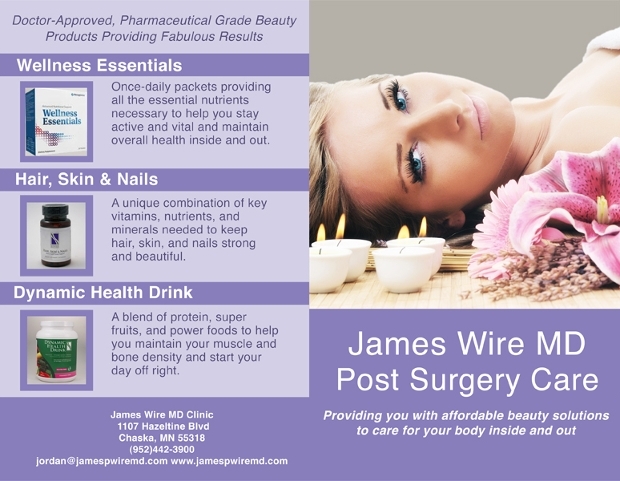 It is ideal for use as both an advertisement and as a leaflet to explain the services of the parlour. 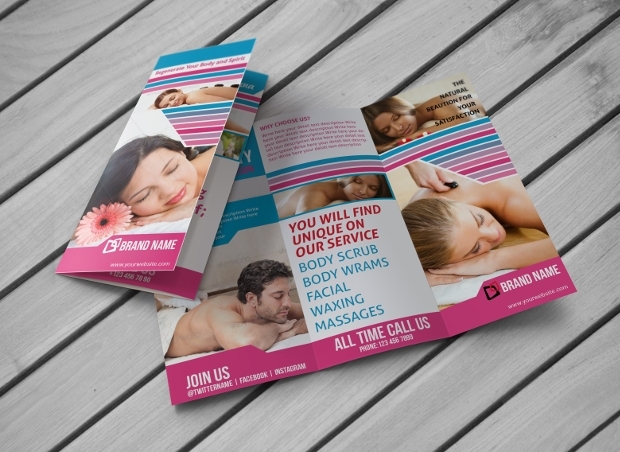 This spa brochure uses ivory and teal as a colour scheme, with elegantly designed embellishments to provide a professional and classy spa parlour. 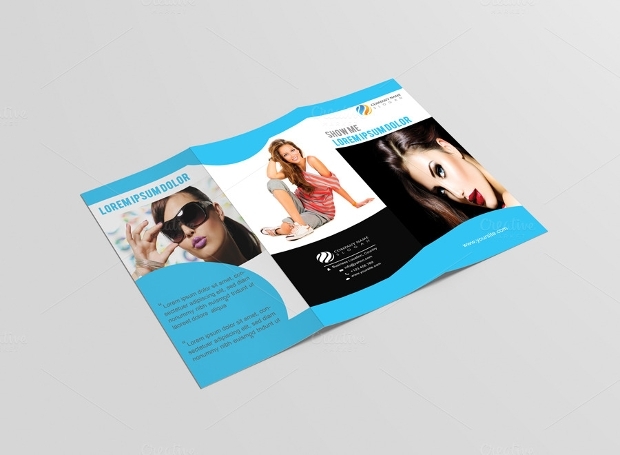 The brochure uses a trifold design to provide plenty of room for images, information, services, and pricing for customers. 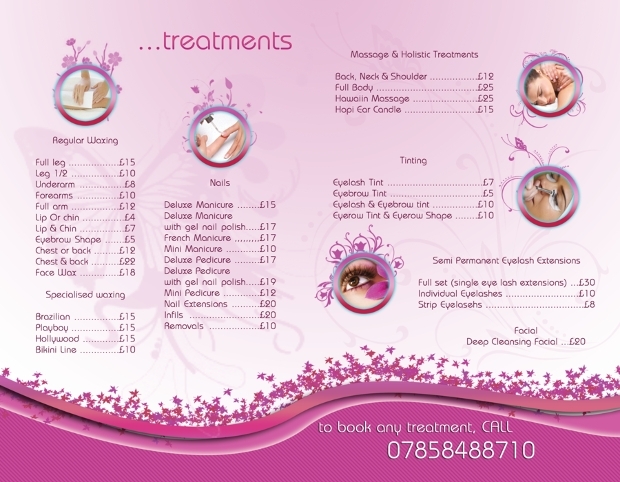 This brochure has a white and green colour scheme and uses a lot of images to show the services of the salon. 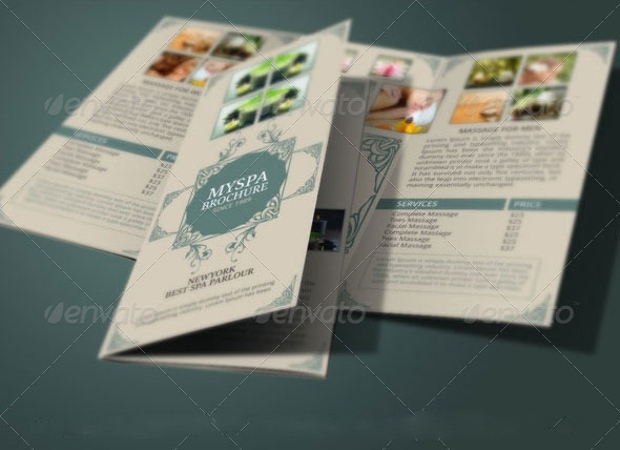 It is a trifold design and has plenty of room for information regarding goods, services, and prices to relay the information to the customers. 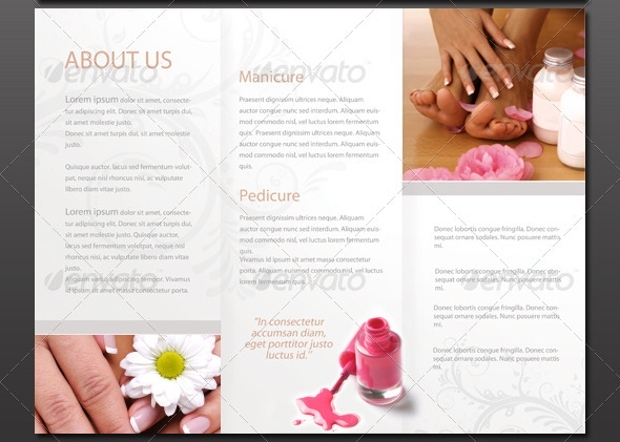 This nail parlour brochure design is a simple black and white themed brochure and is perfect for a salon that is looking to advertise towards a younger and more modern clientele base. This fashion beauty salon brochure uses a white and sky blue colour scheme in order to create this professional, bi-fold brochure design. This design has plenty of space for images and information to tell customers about the services and pricing of the parlour. 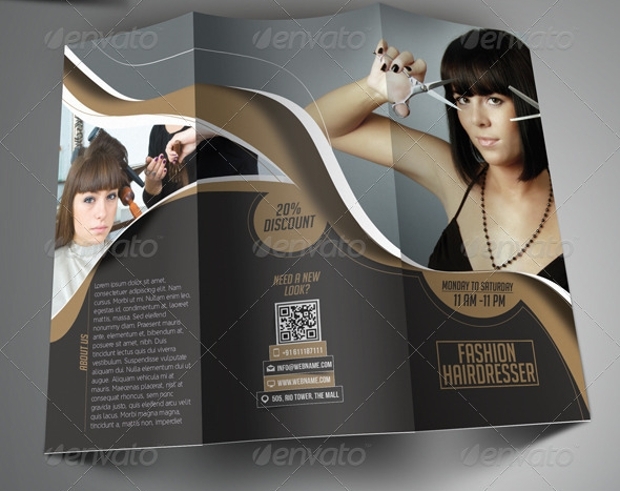 This bi-fold brochure features the image of a glamorous woman in order to advertise the feel of the organisation. 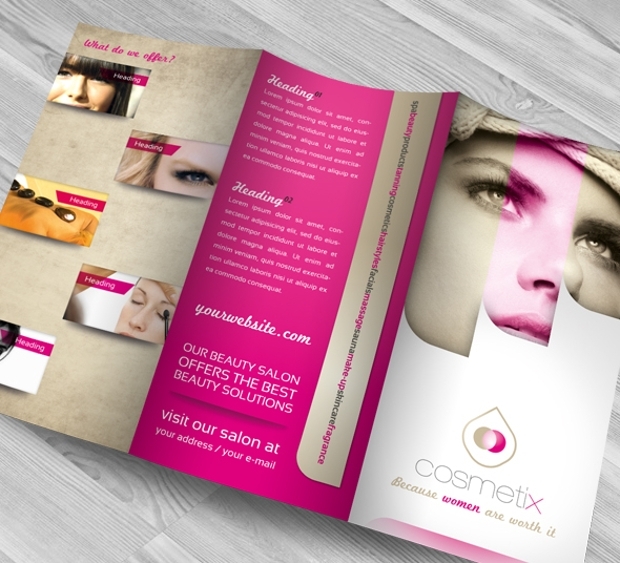 The brochure is ideal for a beauty parlour that focuses on make up and hair in order to advertise services and prices. 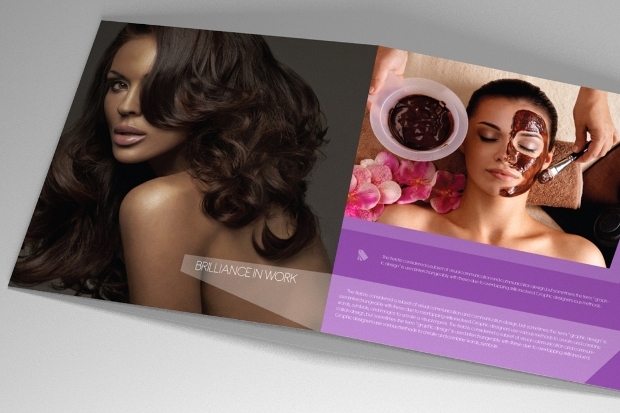 The massage brochure is a trifold brochure design with a white and purple colour scheme. There is plenty of space for pictures and advertisements of goods and services, as well as space for writing to describe the services of the establishment. These designs are some of the best options for many different themes and styles of spa or parlour when providing the list of products and services. 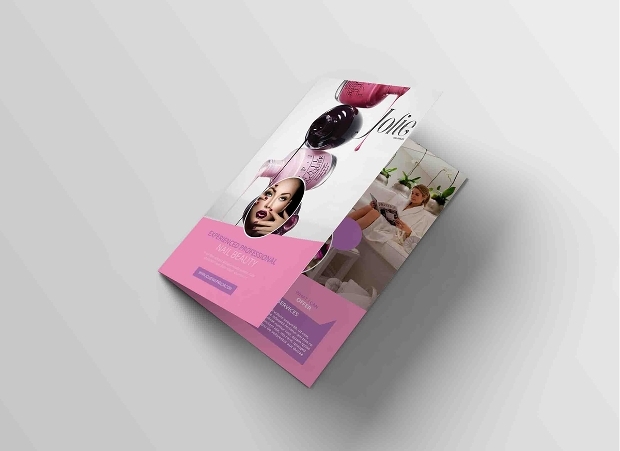 We hope that this list has provided you with some options and inspiration to find the best brochure design for your spa or parlour business.